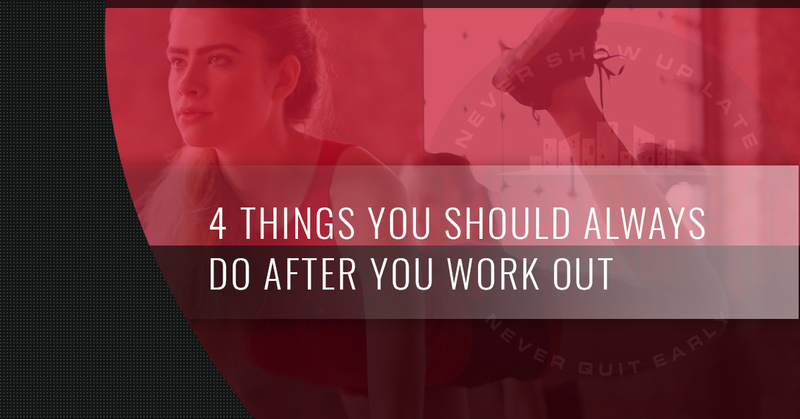 It’s easy to focus on your workout and to think that the work you need to do to hit your fitness goals is done once you’ve finished your last rep or circuit. However, this isn’t true. Your workout doesn’t stop until you’ve given your body the recovery that it needs through dynamic movements and stretching — getting results isn’t just about how much you sweat at the gym. Today, we are going to talk about how to get the most out of your workouts long after you’ve sweat it out at the gym. You also must re-hydrate. It’s easy to get busy after a workout and forget to drink water. However, it is crucial for your body’s recovery that you replenish the liquid stores that you released through sweat during your workout. Water is the catalyst for many of your body’s functions, including weight loss. You must also refuel. What does this mean exactly. It means that you must replenish your body with electrolytes and the nutrients it needs to rebuild your body after a workout. Sometimes after a strenuous workout it is easy to eat the easiest thing available. However, if whatever you ingest isn’t nutrient-rich, you are cheating your body. Choose food rich in nutrients for your post-workout snack. Sleep is also essential to your body’s recovery. Sleep is the time in which your body repairs itself (this time of rebuilding is crucial for muscle development) and replenishes your energy stores. You need sleep to not only have the energy to perform well, but also to avoid injury. If you’ve had a particularly difficult workout, consider getting some extra z’s. Is it time to up your fitness game or to refocus your energy on taking care of you? Start your journey at Downtown Fit Camp! We offer bootcamp classes for all levels of fitness. We are focused on results — not gimmicks — and would love to help you reach your fitness goals. Whether you want to lose weight, up your endurance, or build muscle, we would love to help you.